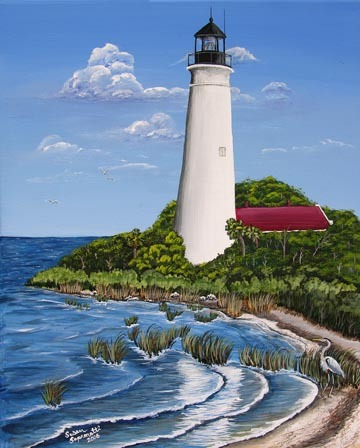 This is the Historic St. Marks Lighthouse which was built in 1831. It's light shines over the Apalachee Bay in Florida. Painted on stretched canvas and measures 16 in x 20 in.